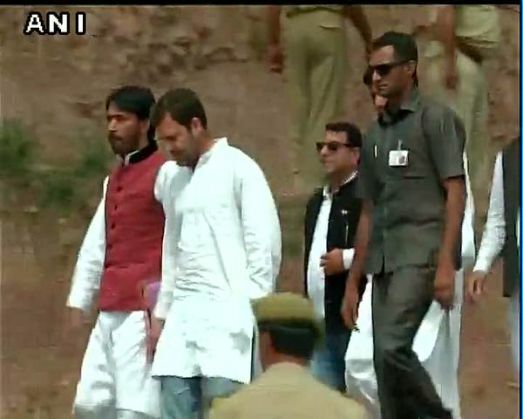 Congress vice president Rahul Gandhi reached Balakote in Jammu and Kashmir, against the backdrop of increased tension along Indo-Pak border. He would be meeting the families who have been victims of ceasefire violations. Six persons were killed and dozens injured due to Pakistan firing on August 15 in Balakote area of Poonch district. Rahul Gandhi will meet families of the victims and interact with affected population of the border belts. Gandhi is also scheduled to address a Panchayat Conference of the party for Jammu province. Rahul will also visit Kashmir and Ladakh regions during his three-day visit. However, BJP has questioned Gandhi's visit to LoC and alleged that the Congress vice president was politicising the issue of ceasefire violations.